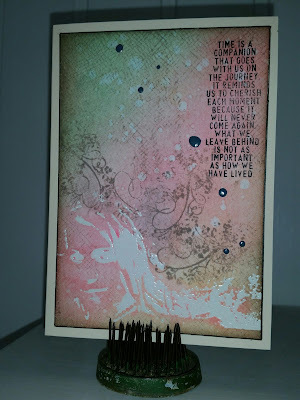 [scrap och annat skräp] [scrap and other crap]: Happy Birthday Ria! Ria sent me a rubber stamp for my birthday and I just had to use it straight away. It's a stamp with her daughter! Have a look here! I love it! It's so cool to have a stamp with her daughter! I also got one for my birthday last year! Awesome! I made a resist with Ria's daughter, blended in the distress colors and dripped some water on a scrap piece of paper. 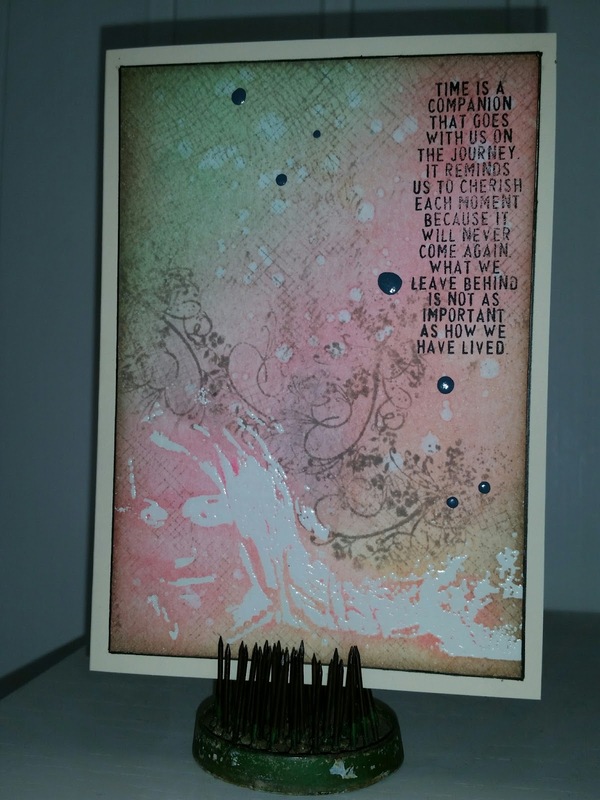 Added some more stamps in pumice stone, some grey nail polish and finally the text stamp from Tim Holtz. I finally distressed the edges with pumice stone and added a black line around my image to frame it in.